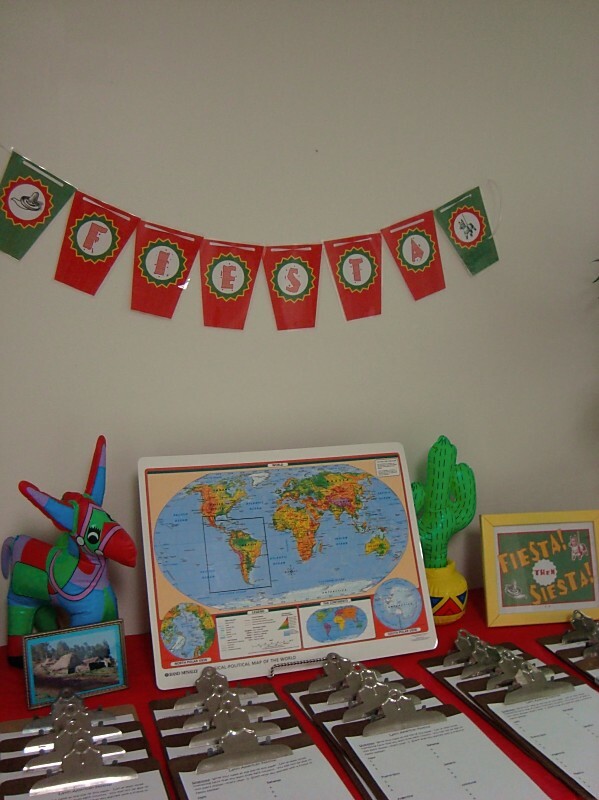 Yesterday, in 5th grade, we held our annual Latin American Festival. 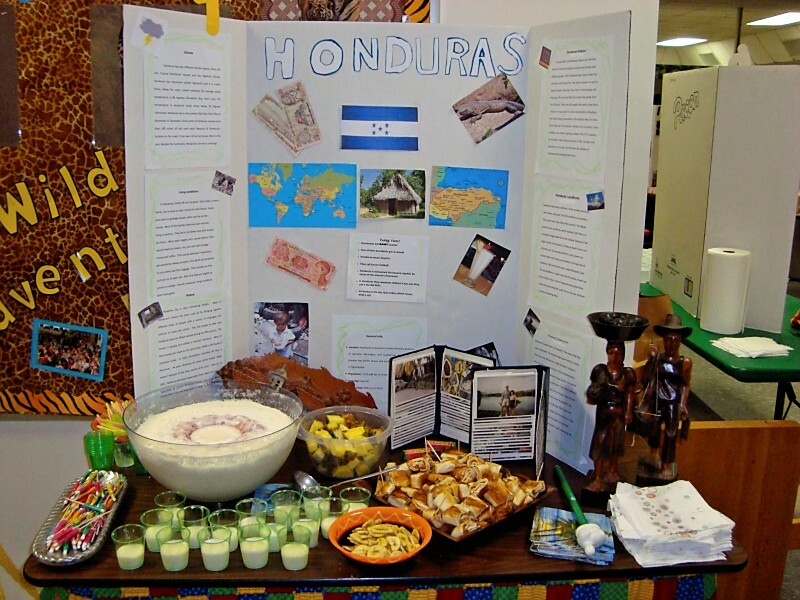 Here's how this two-week, in-class-only project works: The students are grouped by twos and choose a Latin American country to research. They are to write essays about the country's religion, government, history, living conditions, climate, landforms, etc. and then prepare a tri-fold board with this information displayed. Once the boards are ready, we invite the 3rd and 4th grade students to listen to the 5th graders' presentations about their countries. Food samples are provided by each group as Latin American music plays in the background; it's like a fiesta! 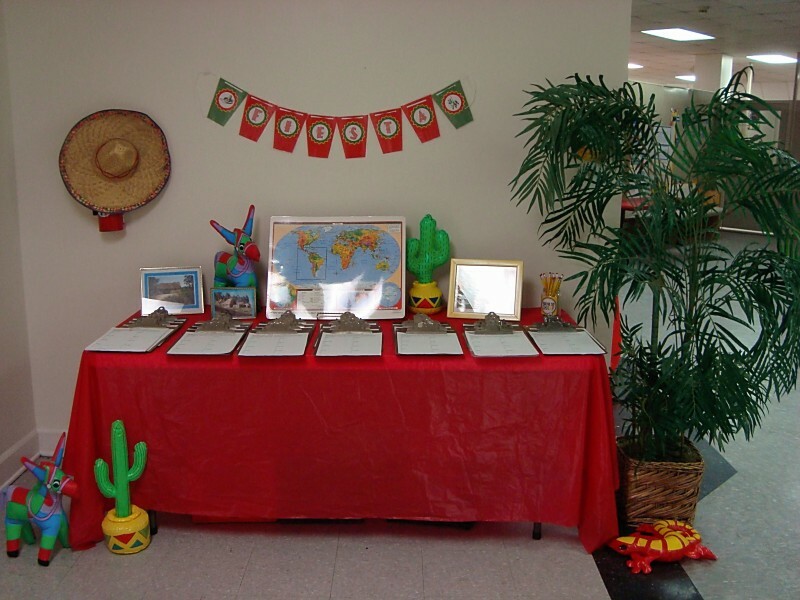 The students have to know their assigned country well because they pretend to be from that country. They had to choose a name for themselves (they looked up popular names from their countries) and that's what everyone called them at the Latin American Festival. 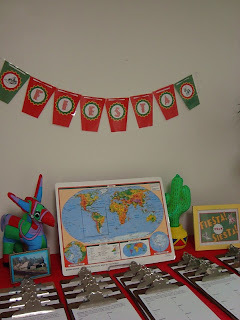 I printed out cute nametags for the students that read, "Hola! Mi nombre es..." which I found HERE. Not a single adult helped the students with their boards and I love that you can tell that 5th graders created the displays. FYI, we always do our projects in class. The festival lasted from 9:30-11:00 a.m., with different classes rotating through. 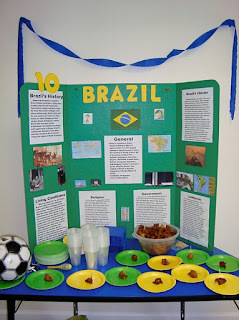 When the festival ended, 5th grade enjoyed the leftovers--taco soup, plantains, empanadas, papas rellenas, black beans and rice, cakes, cookies, and fruity drinks. Yum! We had such a fun time! One student brought in a fake parrot that stood on his shoulder. I tried to get a picture with him, but kept getting photobombed by another child! That afternoon, I had my students take part in a prayer time (something we call a "Prayer Furnace") for the countries of Latin America. 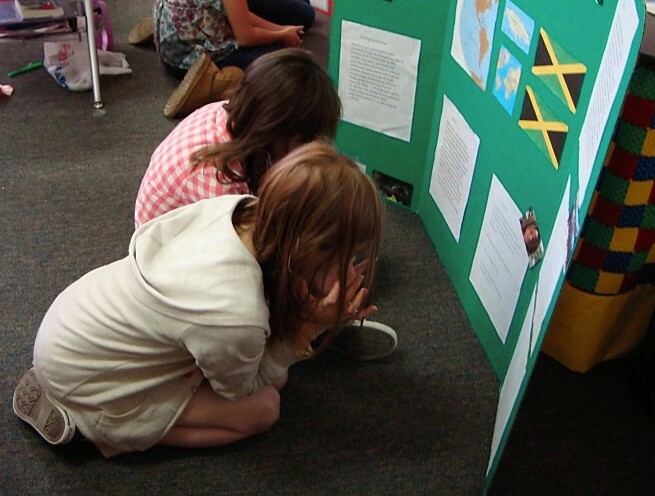 I set the boards around the classroom, put the students in their groups, had them go to each board, read what was written under the "Religion" section, and pray aloud, specifically for the prayer needs that were listed. We had music in the background and would rotate every few minutes. I prayed with several groups and then just walked around and listened to my students pray. I was so touched by their powerful words. Some of them are spiritually mature beyond their years. We ended the day with prayer as a class and then sang a couple of worship songs. It was a wonderful end to a wonderful day. I absolutely love this idea. Would I be able to get a copy of your lesson plan and any handouts you used?